Lost another pound in February. Weight is 165 lbs. Does that sound miserable? Not to me. If it takes me all year to lose these last few pounds that will still be another year of keeping off the previous 220 pounds. I don't want to gain. I don't want to do some half-assed medical plan to drop 20 pounds that I know will just come back on when I stop using that plan. I don't want to have a 'fat burning furnace,' a 'lean mean sweating machine' or a 'shake and bake, gym. I don't want to 'cleanse,' 'de-tox,' or 'juice.' I don't want to start injections of HCG, GHB, IRS or LMNOP. I do want to keep moving more, adding to the different workouts, to have more choices on the days when I don't want to face the workout I did last week. I want to keep tweaking my food choices to vary my ratios of carbs, fats, and proteins to see if I can reach the two pounds a month in March. If I stay at one pound a month and it continues to go down - I will not be disappointed. What a freaking change this is from the days when I wanted to lose 70 pounds before breakfast; when I expected to lose twenty pounds a week just because I skipped the nightly ice cream. What a change this is from when I had charts forecasting where my weight would be next week, next month and at the end of the year. Keeping the pounds off means I have the rest of my life to maintain the weight loss I have. These last pounds can take their leave one by one. Tomorrow doesn't hold substance today. Today, is a beautiful day. I totally agree with you. That is not "miserable." At this point, it's about healthy eating. 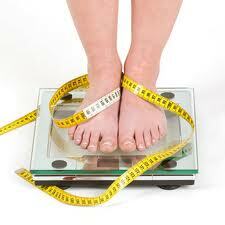 Losing weight too fast or with a nutritionally deficient plan IS "miserable." We have to protect our immune systems, particularly as we get older. It protects of from so many diseases, including cancers. You're on the right path! So true. You are happy and contented so what's the rush? You are not only keeping off the 200 lbs. but adding to the total loss. I agree. The last few pounds are the hardest to lose, and maintenance is even harder. I don't have a handle on it yet, either. I love this post Jane :) Yep, just keep plugging along and make it about not going up the scale even if going down is a pinch at a time. Every pinch does count. You are so wise to work slowly and steadily at this. As you and I both know, fast results do not mean lasting results. I can't tell you how many times in years past I have gotten a notebook and figured what I will weigh on each day of the year (my plan) and when I would hit goal. It would take maybe an hour to do this. Then, 3 days later, I was pigging out and threw it all away. A month later, I'd get a new notebook and do it again. crazy! My new mentality is "I'll do my best and accept the losses that come from that". It works great :) Someone mentioned to me that I would reach goal this year. I don't think so. I think it will be 2013. But, like I said, we will just see how it falls. Hi, new follower here. Just by your banner on the top of the page, I know this is going to be a great blog. Wow, you have made amazing progress. This is a great post and congrats on a loss for the month. Reminds me of what you said a few weeks ago. If you're not gaining, you're doing the right thing. Good one.